All purchases made between the 26th of October and the 30th of November can be returned till the 31st of January 2019. 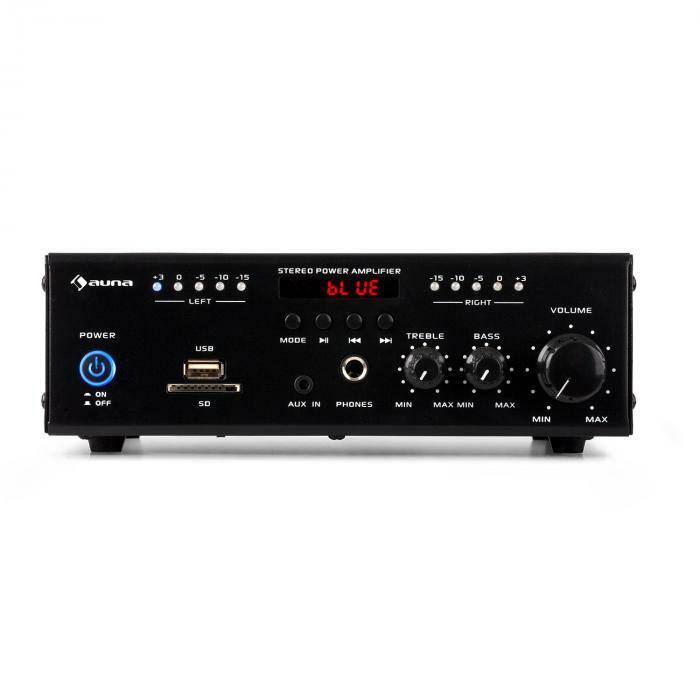 Space-saving and wireless: the auna Amp4 BT mini stereo amplifier. With the auna Amp4 BT amplifier, your smartphone, notebook or tablet can be wirelessly connected to the home hi-fi speakers. 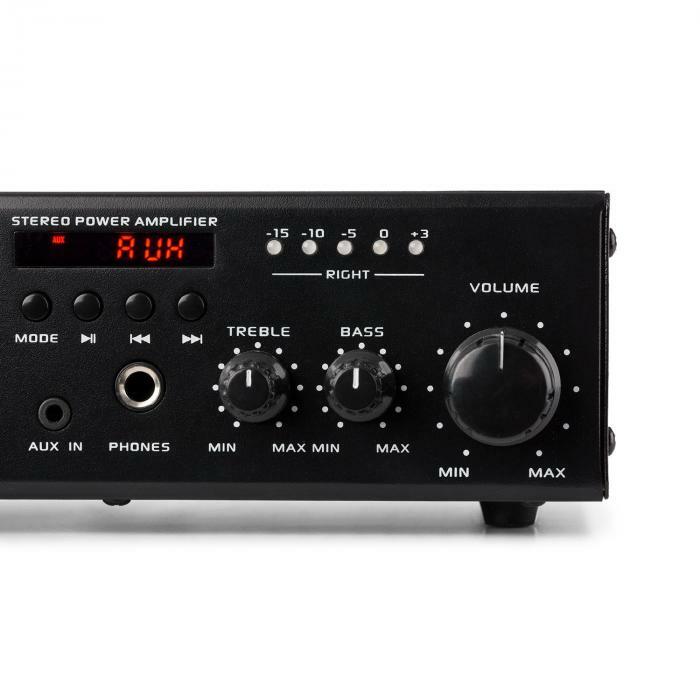 The particularly compact stereo amplifier has a telescope antenna for a stable Bluetooth connection. This avoids losing connectivity while enjoying your favorite hit. In addition to Bluetooth, there is an MP3-enabled USB port and a card reader for SD and MMC memory cards on the front. 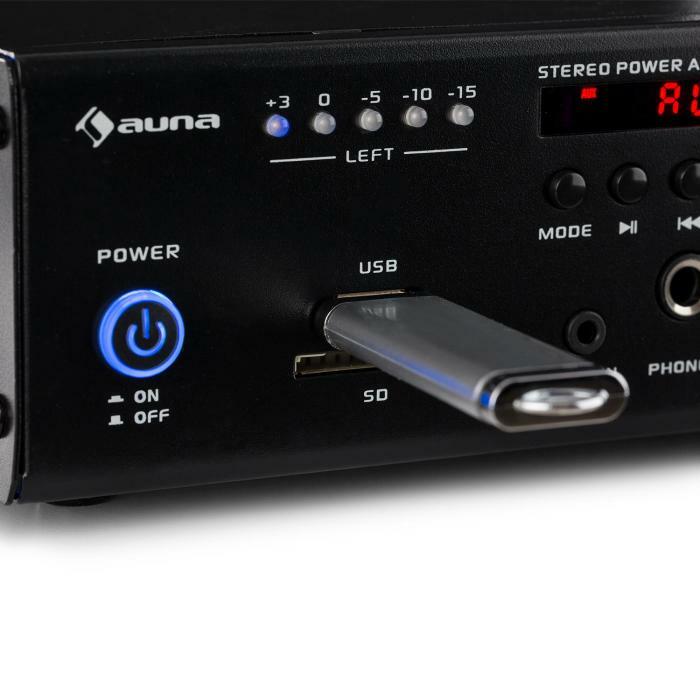 Via AUX connection, conventional MP3 players can also be connected directly to the auna amplifier. 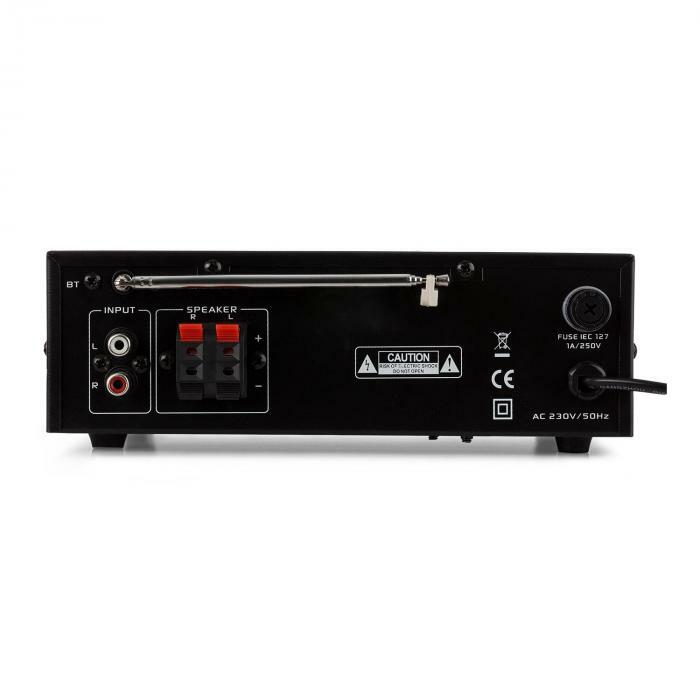 The rear side offers the possibility to connect devices via the RCA/line-in as a source. To play music, 2 speakers can be connected via the screw terminal on the back, while hi-fi headphones can be plugged in via a 6.3 mm jack on the front. 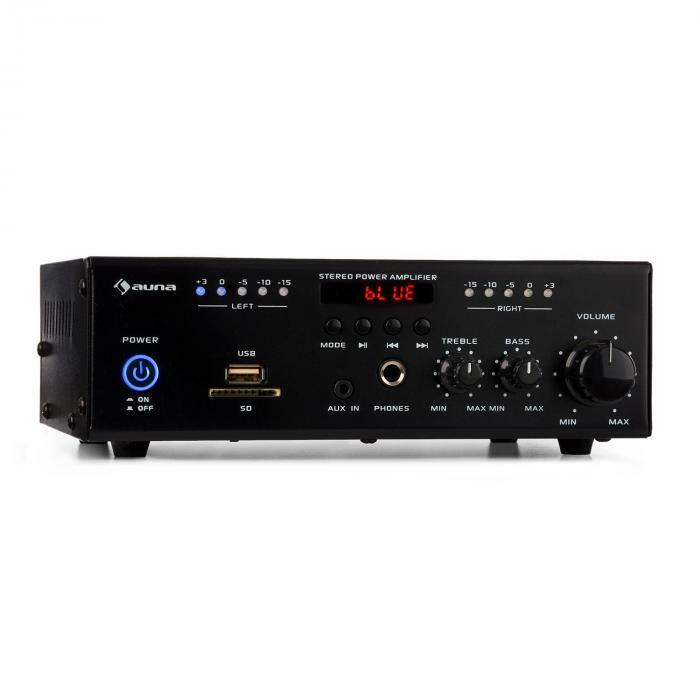 The bass and treble are continuously adjustable, and the compact amplifier has 2 output level meters and an LED display. 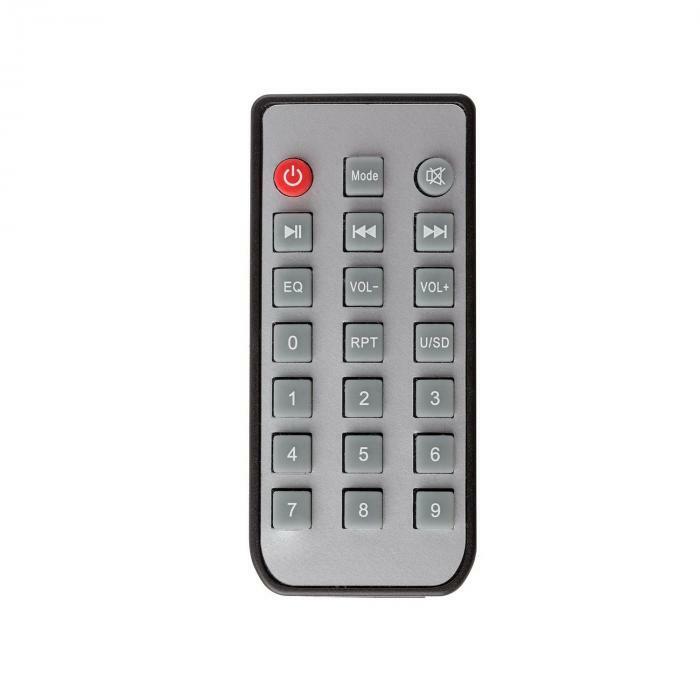 Thanks to the included remote control, the most important settings can also be made while still sitting on the couch. Your order will be delivered to the selected address per order. This address does not have to match the billing address. You can send the orders to your family, friends or office if you are not at home during the day.Your order will be delivered by the carrier in the resquested address. This address does not have to match the billing address. Please leave a telephone number in order to guarantee the best possible delivery of your order.This item may be pre-ordered. Please note that, in this case, the delivery time may be up to 5 days.